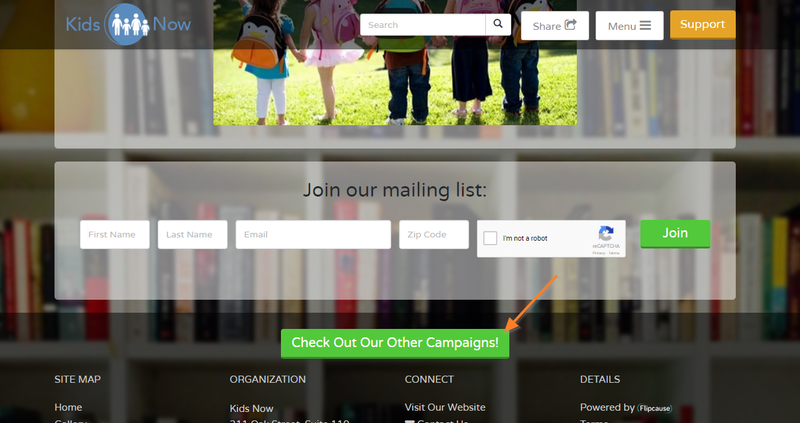 At the bottom of each of your Hosted Campaign Sites, by default, there will be a button to "Check Out Our Other Campaigns." This will open a page that automatically lists all campaigns that are Active in your Flipcause Dashboard. You can remove campaigns from showing up in this list by moving them from Active to Drafts (this will also remove them from any Campaign Menu they were added to and make them not available to select in the Integration Center). 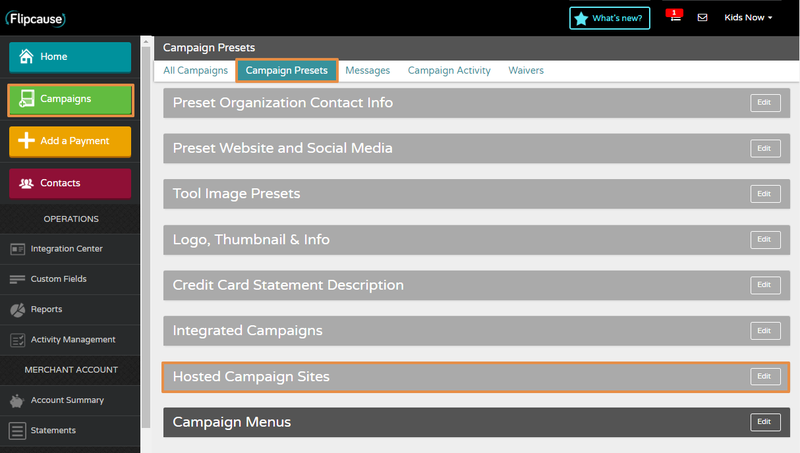 Here, you can toggle "Other Campaigns Button" to Hide and it will remove this from your campaign. Be sure to click Save! You can turn off this setting for all future campaigns by going to Campaigns > Campaign Presets > Hosted Campaign Sites. Within this section is a Footer area where you can likewise toggle this button to Hide.